A timeline of Innovations in Dementia – our journey so far. Innovations in Dementia CIC is founded by Nada Savitch and Rachael Litherland. Steve Milton joins later in the year. Nada Savitch set up Innovations in Dementia with Rachael in 2007. Nada had a background in IT and so led our work finding ways to use technology to support people with dementia. Nada also kicked off our work on dementia friendly communities, and was looking for ways to make the world an easier place for people with dementia long before it became mainstream. But most of all, Nada connects with people. Always outspoken and direct, she never minces her words, but manages somehow to combine this with an infectious warmth and humour. …..and right from the start people responded to this and reciprocated, especially people with dementia. We always referred to Nada as the heart and soul of Innovations, though not to her face, which would have been embarrassing for all of us. Nada made an enormous contribution to Innovations in Dementia, and to the lives of people with dementia. Although she moved on in 2016 her influence and legacy is with us every day. 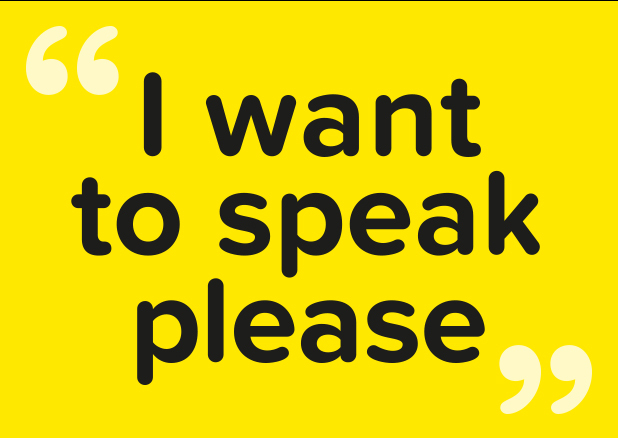 We start our work on a rights-based approach to dementia – asking to people to let us know about their views and experiences. We publish a small article suggesting that dementia should be viewed as a disability, and encouraging the use of the social model as a way of thinking about how people with dementia ‘fit’ within their communities. We receive funding from Big Lottery to help us develop “Start Making Sense”, a project looking at how information could be made more accessible. We start working with the London Metropolitan Police, training specialist officers working to support people with dementia to have better access to the criminal justice system. Peter Ashley becomes our first associate with dementia. Peter died in 2015 but we will never forget him, and his influence lives on in our work today. We start work on a video project supporting people with dementia to make videos to help others recently diagnosed or living with dementia. We start work with Housing 21 on a project supporting people with dementia in day centres to use computers. We work with a person with dementia testing out the responses of high street travel agents to people with dementia. 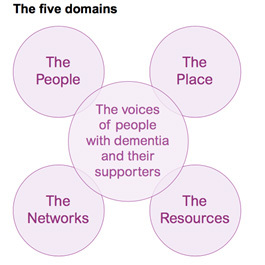 We start our first project on dementia friendly communities – working with a village in Surrey. 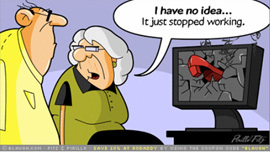 We start work on ‘Switched on Communities’ – with AbilityNet, looking at how people with dementia use different kinds of computer equipment. We start work on a commission for the Department for Health – looking at the concept of ‘dementia capable communities’ – and what that means to people in urban, rural and suburban areas. We work with the new College for Social work – looking at what people with dementia want from social workers. We deliver a conference for Trent Dementia Services Development Centre in Derby celebrating the creativity of people with dementia. 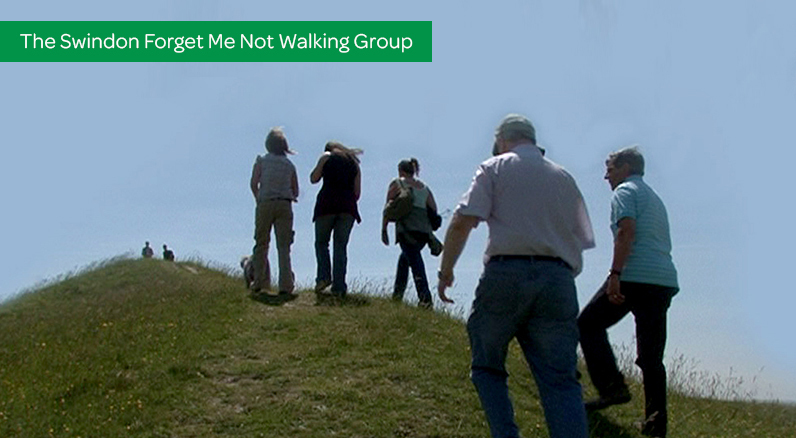 The films are shown, and Steve is part of a band formed from members of the Swindon Forget me Not Group performing a socially adapted version of “Delilah’ by Tom Jones – turning it into a darkly comic exploration of dementia. Our work on ‘dementia capable communities’ is launched at a Department of Health meeting looking at dementia and the ‘Big Society’. Later in 2011 we start working with AESOP on a JRF funded programme called Dementia Without Walls – how to make York a better place for people with dementia. We also begin a commission for the Local Government Association to support the development of dementia friendly communities in Sheffield and Hampshire. DEEP – the Dementia Engagement and Empowerment Project is launched – working with the Mental Health Foundation. This early work is about mapping the groups of people with dementia in the UK that are working at a local level to influence change. The report into our work on dementia friendly communities in Sheffield and Hampshire is published by the Local Government Association. As well as laying out for the first time the ‘Five Domains’ approach to developing DFCs, it also contains a toolkit of resources that could be used and adapted at a local level. We run a conference with Trent DSDC and Dementia UK Dementia Our Lives Our Story – an event designed by people with dementia and carers. The DEEP Project – We run 2 national events for people with dementia in London and Stockport. With the support of Joseph Rowntree Foundation DEEP enters phase 2 – which is about supporting the development of new groups of people with dementia. We work with Aunhead Arts in Devon on a project called EVA (Elder Voices on the Air), in which people with dementia interview each other about their lives and experiences. We join forces with the Bath Institute of Medical Engineering (BIME) to start a new venture called Valued Voices, to encourage designers, engineers and technologist to listen to the voices of people with dementia. By the end of 2013 the Dementia Friendly Community toolkit we launched in 2012 is being used and adapted in dozens of locations around the UK and worldwide, including in Australia and the USA. We work with people with dementia on a a new part of the Dementia Gateway – a website produced by the Social Care Institute for Excellence. This new section “getting to know the person with dementia” is scoped and designed by people with dementia.You can see it here: https://bit.ly/2I5JLgk We are partners in making the accompanying video with the Forget me Not Group in Swindon which wins a prestigious award (Best factual new media) at the Older People Media Awards 2013. With funding from Sir Halley Stewart Trust we start a project looking at the application of Mindfulness in the lives of people with dementia and carers. This pilot project runs an 8 week course in 3 locations in the South West. 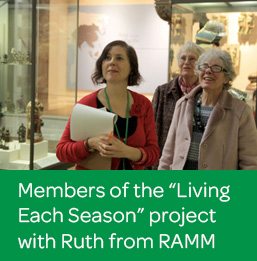 We work with the Royal Albert Memorial Museum in Exeter on a new project to find new ways for the museum to involve and include people with dementia. We work with people with dementia to support the first Dementia Friendly Communities Conference at the West Yorkshire Playhouse in Leeds. With people with dementia from EDUCATE we conduct an audit of the venue and are able to make lots of suggestions for improvements. We also pro-vide practical and financial support for people with dementia to engage in the event itself. Rachael and Steve both travel to Australia at the invitation of Alzheimer’s Australia to talk about Innovations’ work in involving people with dementia, and dementia friendly communities. DEEP is now producing range of guides for new groups of people with dementia, as well as those working with them. DEEP also starts to give out small grants to kick-start new groups and build capacity of existing ones. At Dementia Congress in Brighton, the Dementia Engagement and Empowerment Project (DEEP) and the Carers Call to Action get together to make a video. Carers and people with dementia all have a space to ‘Make a Point about Dementia’.The film has a huge impact on the audience in Brighton.You can watch the video on YouTube or below: or via the DEEP website – http://www.dementiavoices.org.uk. We start work supporting an advisory group of people with dementia to the IDEAL project at Bangor University – a £4 million, five- year study of 1,500 people with dementia and their family carers throughout the UK.The project is called ‘Improving the Experience of Dementia and Enhancing Active life: Living well with dementia’ – the IDEAL project for short. Since 2012 we have been supported by and working with the Joseph Rowntree Foundation on its Dementia Without Walls programme – strengthening the collective voice of people with dementia, support dementia-friendly communities and encourage people to think differently about dementia. It is announced that, from 2016, the legacy of Dementia without Walls will be carried forward in partnership with Innovations in Dementia. We join forces with RICA on a new project about consumer testing of products and services by people with dementia. DEEP publishes “Over the Rainbow”, a report on an LGBT people and dementia support and advocacy project. We announce that DEEP will move into phase 3 – with the support of Comic Relief, Life Changes Trust and JRF. For the first time DEEP will be employing members of staff dedicated to supporting groups, and, with the help of Life Changes Trust, will have a new focus in Scotland. In November we hold a celebration event to showcase the work of DEEP groups – 14 groups are there and we talk about what the future holds as well as reflecting on what has happened since we launched DEEP in 2011. The meeting is made all the more poignant as we receive the sad news of Peter Ashley’s death just before we start. 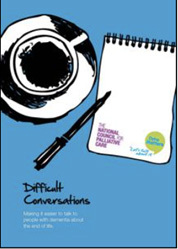 We work with The Health Innovation Network, Alzheimer’s Society, and community groups across South London to produce a resource pack to promote the importance of peer support opportunities for people with dementia. DEEP welcomes Rachel Niblock and Paul Thomas – whose job as DEEP co-ordinators is to support DEEP groups and encourage new ones. We welcome two new directors in the shape of Damian Murphy and Philly Hare, both of whom we have been working with over a number of years. We are also very sad to say goodbye to Nada Savitch, one of our two founding directors and a fantastic advocate for people with dementia. Philly works on two pieces of work which take our commitment to a rights based approach forward. We publish ‘Making an Impact Together’ which is co-produced with 3 DEEP groups, and looks at how people with dementia are organising to campaign for their rights. We receive funding from Big Lottery Fund to establish with people with dementia what ‘co-production’ actually means. We work on a rights based project with 3 Yorkshire DEEP groups to translate co-production into action. 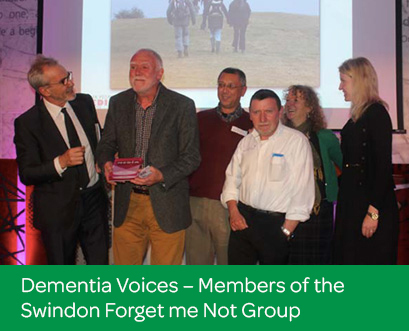 They focus on the right to get out and about – making transport more accessible for people with dementia – and try out a range of innovative methods including petitions; short films; cartoons; photos; letters to MPs etc. Steve works with Imogen Blood Associates on a commission for the Department of Health looking at the evidence for the effectiveness of dementia friendly communities across Europe and beyond. The report is due to be published later in 2107. Philly visits Australia to present at Hammond Care conference. She also visits Japan to link with new DEEP-type groups. The Getting Along training and facilitator days are developed with open training days held in York and Exeter and Masterclass developed and delivered for the DementiaUK northern practice development group of Admiral Nurses. Dementia Policy Think Tank produces a shadow report and submits it to the United Nations to inform their exploration of the UK response to the United Nations Committee on the Rights of Persons with Disabilities. (add link from DEEP website). iD supports Keith Oliver to present the report in person in Geneva. This work is followed up by a meeting with civil servants from the Office of Disability Issues. The ‘Getting Out and About’ programme moves into the action phase as 3 DEEP groups across Yorkshire campaign for greater clarity on bus timetables; more accessible and supported rail journeys; and for access to Blue Badge scheme for people living with dementia. We continue a range of consumer testing projects in collaboration with RICA (Research Institute for Consumer affairs). Topics include use and accessibility of Taxis in Camden; a visit to the Royal Shakespeare Company; and user testing of the Mecca Bingo in York. Steve works with Imogen Blood Associates on a commission for Alzheimer’s Society on ‘what works’ in creating dementia friendly communities in the UK. We work with Edinburgh University (ECRED) and HammondCare Dementia co-producing checklists for DEEP groups to use when auditing inside or outside public spaces. We receive funding from Life Changes Trust to run a series of “Gatherings” for people with dementia in Scotland. These take place in Edinburgh, Hawick and Inverness. People with dementia connect with each other, make project plans, set priorities, sing together and share love, enlightenment, vibrancy and hope. We are delighted to receive funding from Comic Relief and Big Lottery Fund to continue Dementia Diaries for another 3 years. 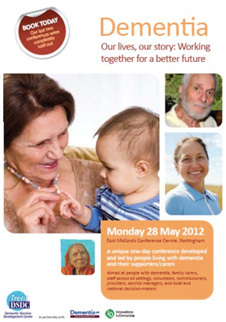 We re-launch Dementia Diaries with a fantastic residential Gathering of diarists in Birmingham. We now have a regular column in Journal of Dementia Care, and a growing number of enthusiastic Diarists. Full Getting Along facilitator training delivered to 8 staff from Alzheimer’s Support Wiltshire. Service-wide relationship-centred approach is adopted and a formal programme initiated. Philly visits Japan to undertake a study tour of group homes in the North (Sendai area). We facilitate the steering group for the new Reading Friends initiative in collaboration with the Reading Agency. This is a nationwide befriending project to empower, engage and connect older people through social reading activities.